Micro~Grill™ is Inline Packaging's latest innovation. The Micro~Grill™ turns an ordinary microwave into a convenient and quick Panini grill. 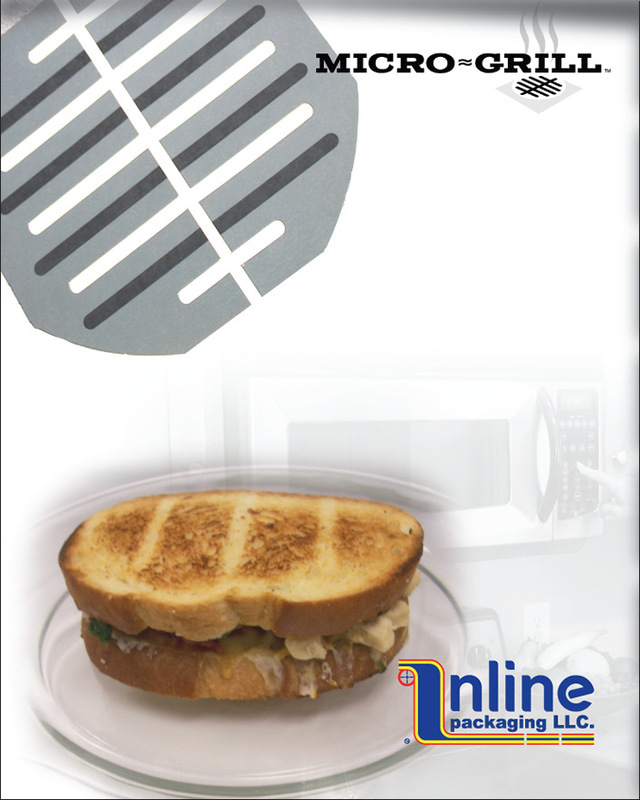 The photo below is of a Panini grilled open face on the Micro~Grill™. The bread was not pre-toasted. The results speak for themselves. While the Micro~Grill™ performs best when elevated with the outer carton, it is not absolutely necessary. The superior heat output provides superior crisping even when placed on the oven floor. When used with a platform, the Micro~Grill™ surpasses the results of corrugated or single ply susceptors even more dramatically. While we developed this concept specifically to grill open face sandwiches, the Micro~Grill™ can be tailored to crisp other flat products such as pizza.